Stuffed Teddy Bears put a smile on everyone’s face. 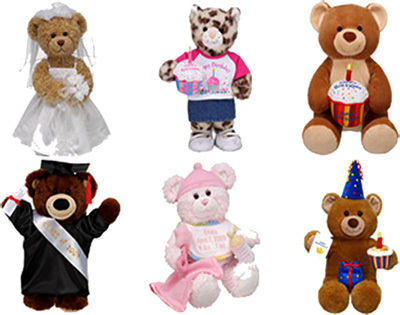 In conjunction with Build-A-Bear, we will bring everything you need to build your own personalized teddy bear. You get to give your bear a heart and even choose a sound box. 10% of all proceeds go to children’s charities of your choice. To offer this fun party gift at your children’s next party, fill out our Request a Quote form for more information.